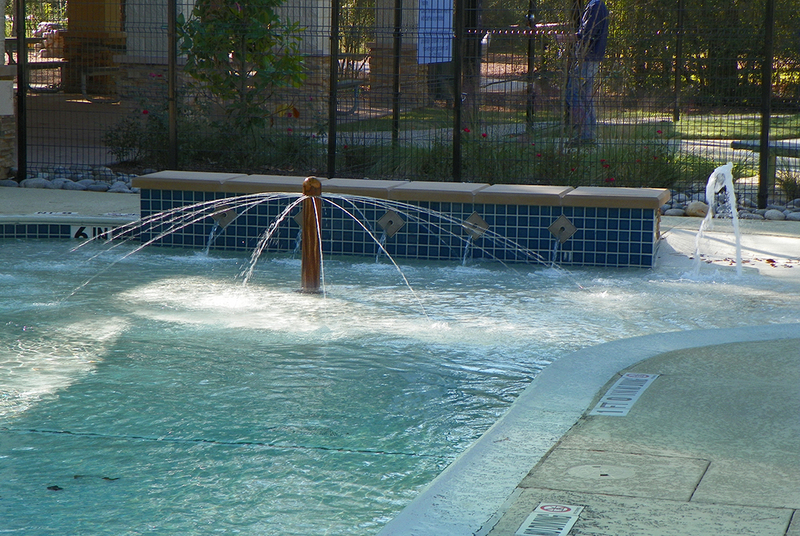 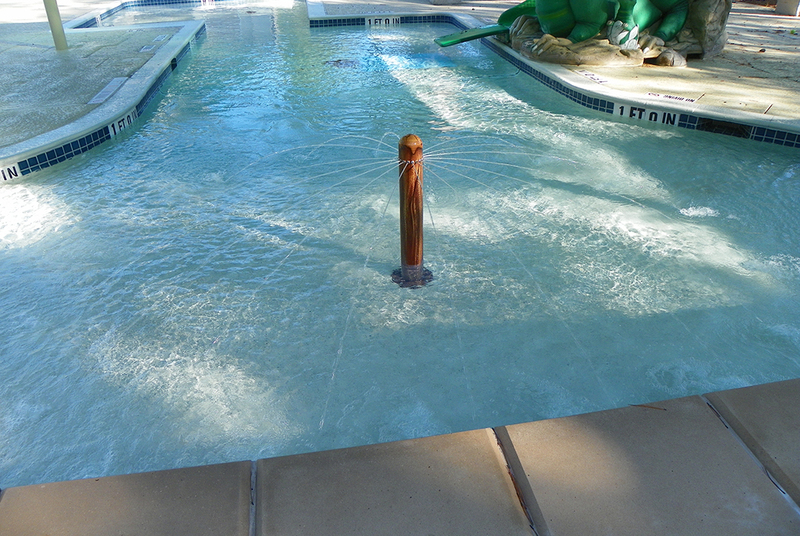 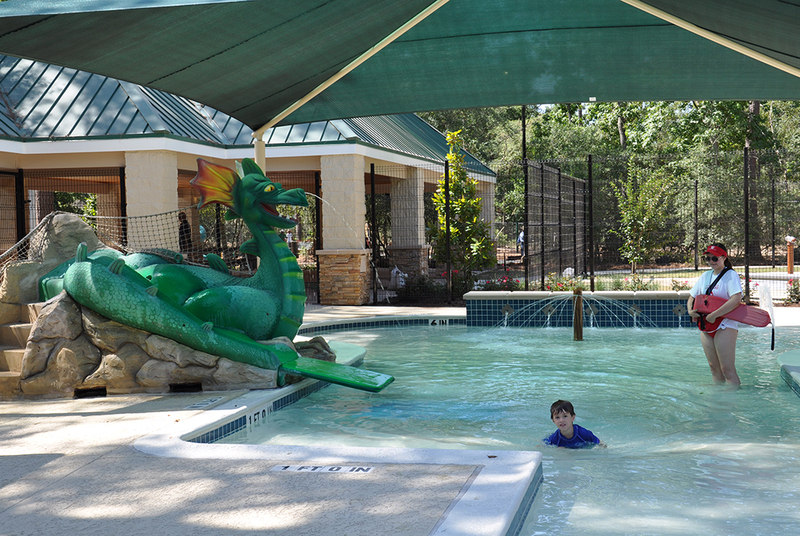 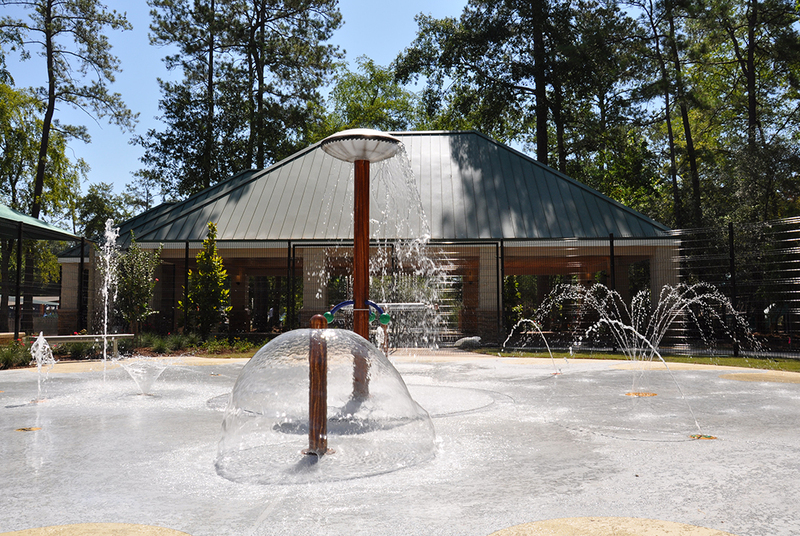 This Woodlands pool facility was interested in attracting larger crowds but lacked the attractions and accommodations necessary to meet their needs. 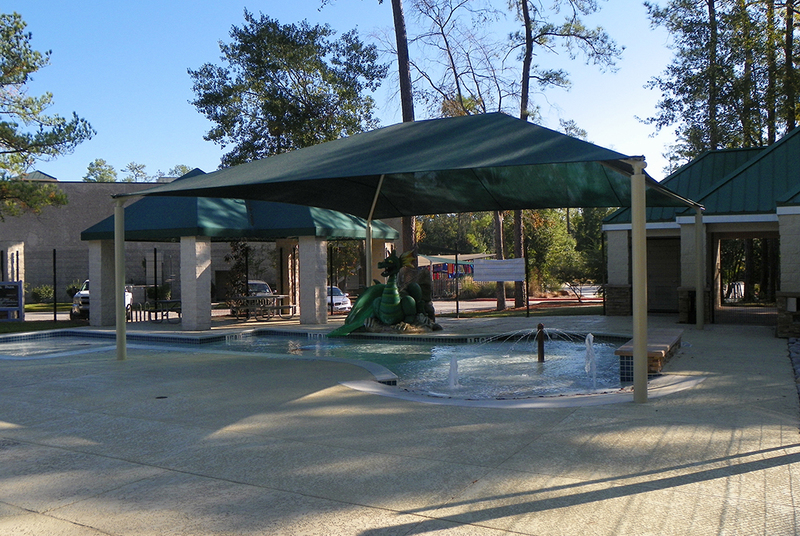 To help them make the most of their space, we began work on an incredible Splash Park and expanding the baby pool to make the facility accessible to new parents and younger children. 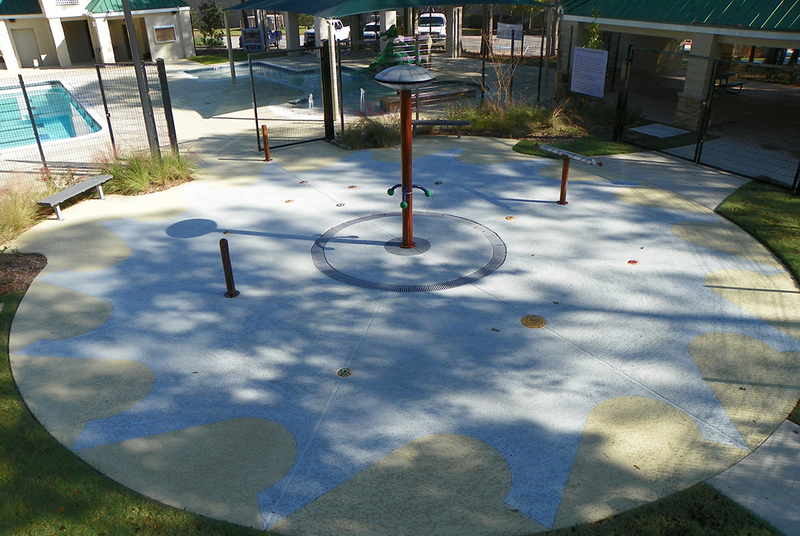 With multiple exciting features including a climbing wall by Kersplash and comfortable shade canopies made by Superior Playgrounds, the new splash park and expanded pool made the facility a bigger hit than ever before! 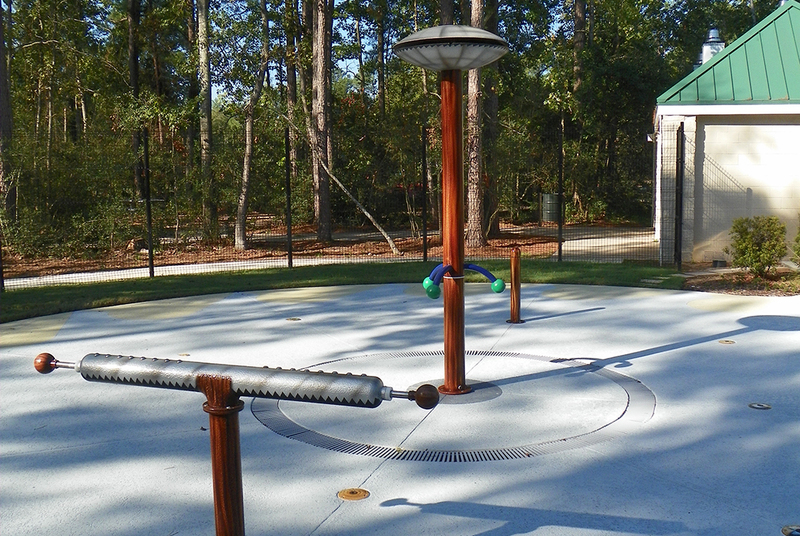 In addition to building a 2,000 square foot Splash Park, we were also tasked with doubling the size of the nearby baby pool in the same facility. 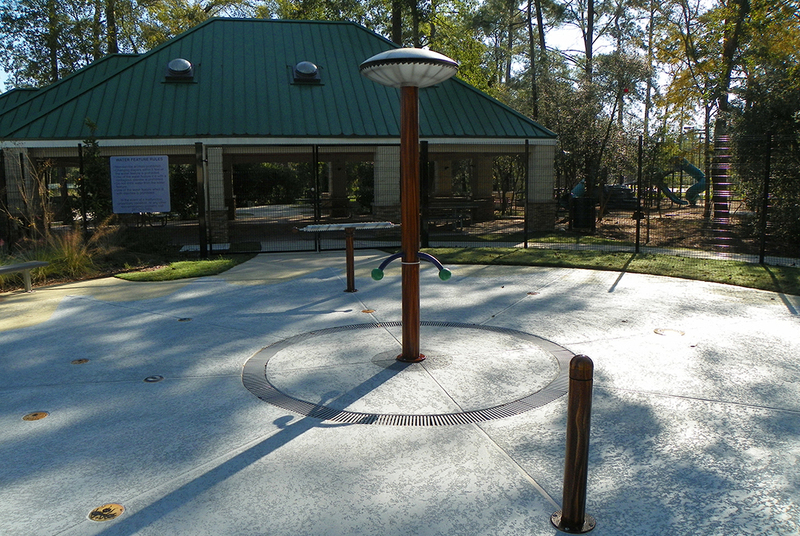 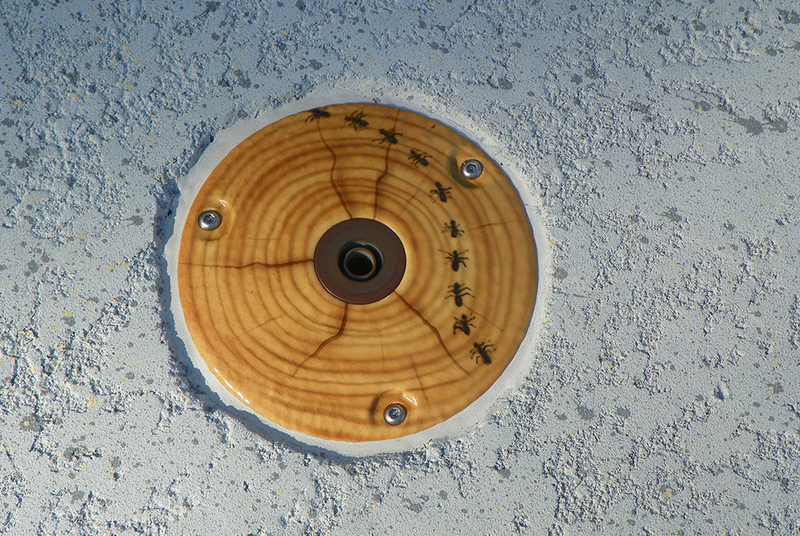 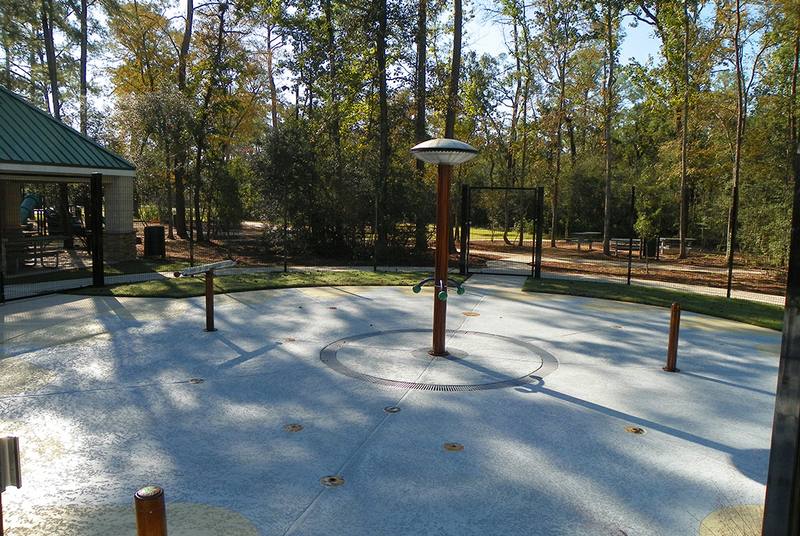 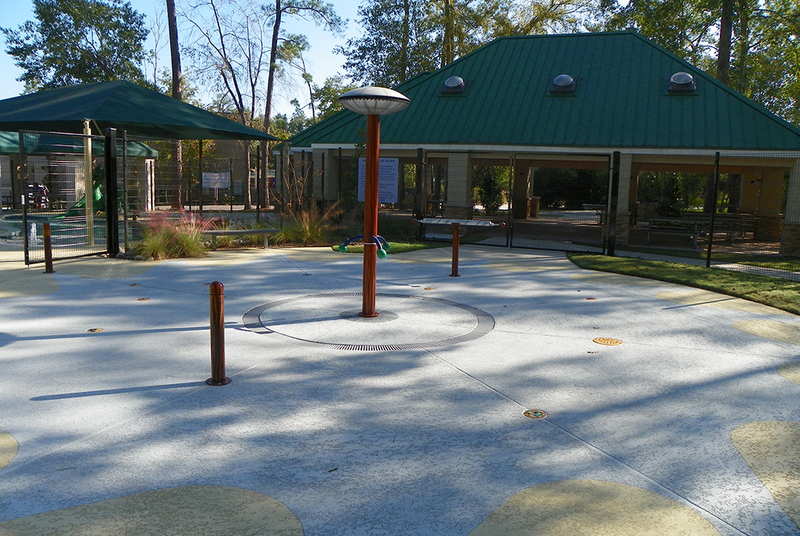 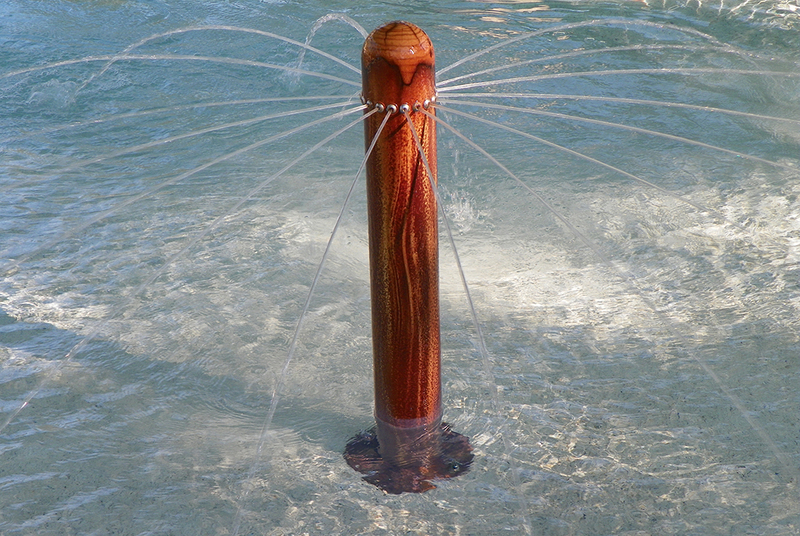 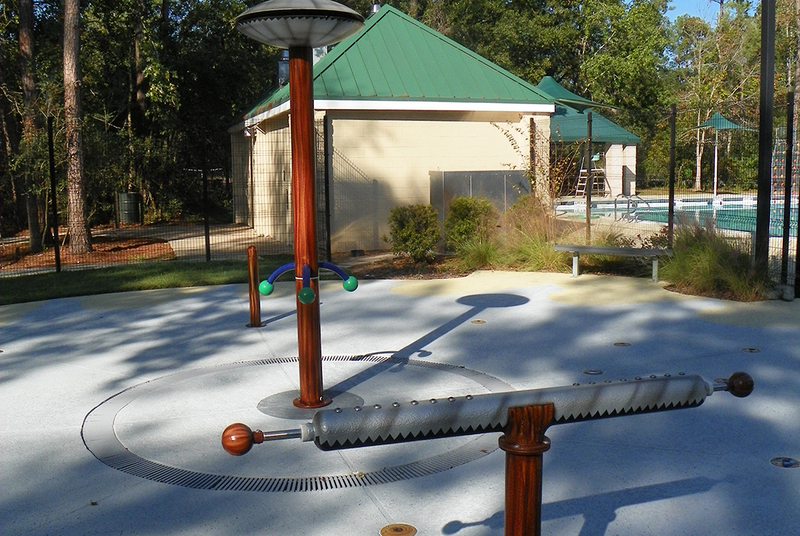 All of the Splash Park features were specially painted to honor the historic Sawmill located nearby.